Comfortable bed, fan in room. Clean room. Provided towels, and changed towels upon request. Walking distance to beach and many restaurants. Good value for money. I like the receptionist she so friendly. Just quiet off from the beach though. And no restaurant. I like Dormitels' accessibility and proximity to Alona Beach. It is also value for money. Good for Philippine standard Wi FI and very helpful stuff. Great hostel, we would like to find them everywhere we go in Philippines! We love eco! Refilling water was awesome, and hot water too if needed! It’s very near to the beach, 5min to walk. Good staff. Every day they clean your room. Iza and Alvin were friendly and accommodating. My dad had a GREAT stay! 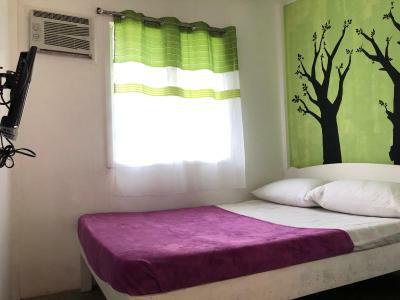 Dormitels.ph Bohol This rating is a reflection of how the property compares to the industry standard when it comes to price, facilities and services available. It's based on a self-evaluation by the property. Use this rating to help choose your stay! 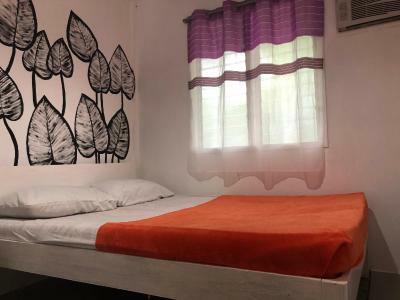 Featuring free WiFi, Dormitels.ph Bohol offers accommodations in Panglao City. It is 0.9 mi from Alona Beach, approximately a 15-minute walk away. All rooms are equipped with a flat-screen TV with cable channels. Each room comes with a private bathroom equipped with a shower. The property operates a 24-hour front desk and provides daily housekeeping service. Luggage storage is available while airport transfers can be arranged upon request. The nearest airport is Panglao International Airport, 2.5 mi from Dormitels.ph Bohol. When would you like to stay at Dormitels.ph Bohol? House Rules Dormitels.ph Bohol takes special requests – add in the next step! Bathroom floor did not drain well, so it never completely dried. No floor mat outside the bathroom, so we were constantly tracking water into the room. No hand soap provided. The smell of humid inside the room. Ti ny-mini maybe 5 cent value soap not in the room. during check-in and out , no room clean and the same towel , it doesn't matter how many days you staying.....any request is denying under false pretext...no WiFi in the room...when rains roads and gardens floated...no light..bring yr own flash light to see where you walk...tourism concept doesn't come yet in Philippines..
Wifi access is limited inside the room. There were so many ants in the room. The shower didn’t working and was cold. They clean the room at 9am....you can’t sleep!! The property is infested with ants. There were ants on the bed, bathroom. Just a minor thing the remote control was no working and we bought our own soap and shampoo. Room was good for the money.